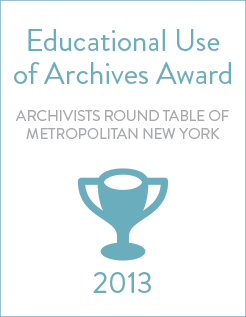 Dig into the documentation of Students and Faculty in the Archives, the three-year collaborative project at Brooklyn Historical Society which produced TeachArchives.org. From 2011 to 2013, SAFA partnered with eighteen faculty at three neighboring colleges to bring over 1,100 students to the archives. Independent evaluators have found that participating students were more engaged and performed better than their peers. Interested in trying something out? We’d love to help with similar collaborations! Contact us at julie@teacharchives.org and robin@teacharchives.org to learn more.